The 2017 Geographic Names Conference of COGNA (Council of Geographic Names Authorities in the United States) will take place May 8—12, 2017, in Richmond, Virginia. 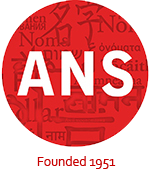 They are looking for papers and panel discussions to explore a full range of toponymic topics such as name standardization policies at the Federal, State, Tribal, and local levels of government, and conflict resolution regarding naming procedures. You can download the Call for papers here. The deadline for abstracts is March 1, 2017.